As usual, there is the positively entry-level Redmi 5A, priced at around €100. Despite the obvious improvements in the low-budget segment, you should still approach smartphones that cost €100 or less with a healthy dose of doubt. To put it simply, the Redmi 5A is underpowered. The same mostly applies to the equally cheap Redmi Note 5A, also known as the Redmi Y1. Unlike its sibling, it does at least have 8 Cortex-A53 cores under the hood but skimps on the trendy wide screen. Enter the Redmi 5, probably the most sensible cheap option that not only won't disappoint you but it sports the hip tall aspect ratio look. It can be had for as little as €115 but here's the caveat. For an extra €15 or so, you can get its bigger sibling, the Redmi 5 Plus. Although a nearly identical package, it comes with a bigger battery, faster chipset and a larger screen of higher resolution. But we've already reviewed this one. Now it's the Xiaomi Redmi 5's turn. 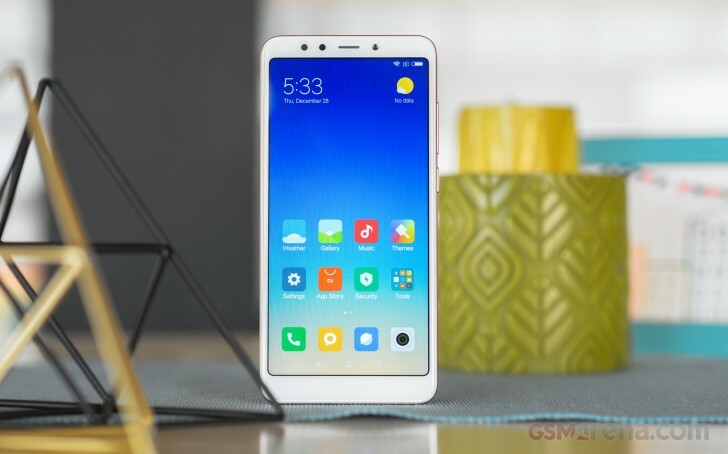 The Plus version will undeniably put a good deal of pressure on the regular Redmi 5, potentially questioning the very point of having so much variety. Then again, we can see a point in Xiaomi trying to offer more choice. €15 might be insignificant when shopping for a flagship, but Xiaomi is not far off the baseline €100 mark and is genuinely trying to squeeze value out of every penny. An admirable effort in our book, as long as it's not at the expense of the user experience. 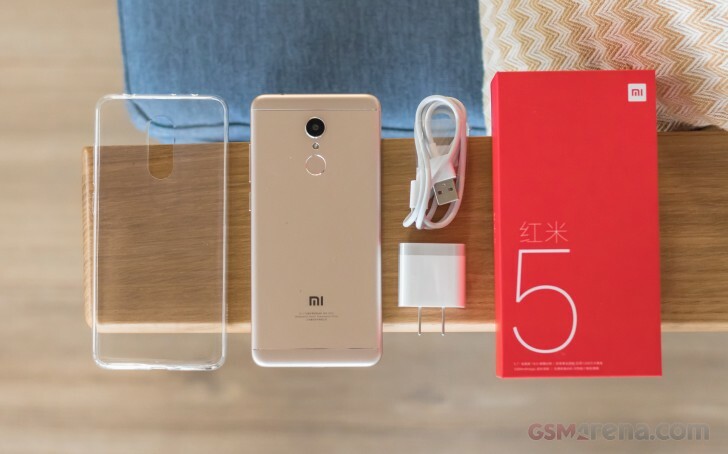 So, that is the real question then - has Xiaomi managed to shave a few bucks off the already incredibly good value Redmi 5 Plus, without crossing the line? Inside there is a 5V@2A charger unit, which not only feeds the maximum a non-quick-charge-enabled phone can take, but also does so in an incredibly compact package. Naturally, you get a microUSB cable to go with it as well, good for both charging and data transfers. At USB 2.0 speeds, of course. But, we are still some time away from realistically expecting anything better or more recent at this price point. Last, but not least, Xiaomi has even thrown in a soft, transparent rubber case. It's always a good idea to slap on a screen protector too, but in this case the front is covered by Gorilla Glass and from our experience with the review unit, we have no reason to worry about it scratching easily.